As a songwriter, vocalist, performer, and deep, emotional, passionate and driven young woman. The depth of Amy’s honest, controversial, brilliant and beautiful artistry is beyond what many can understand. Many of Amy’s jazz and hip-hop inspired poetic songs of very raw personal reflection will be featured. In producing and performing this show, with a stellar A-list of musical colleagues well known across Canada, my hope is to help create an awareness of the impact and relationship between addictions in all forms, domestic abuse, depression, and mental health. The psychological and physical pressures of pursuing a career in music are rarely discussed or understood, yet judged very harshly in the media, and generally so in the public eye. 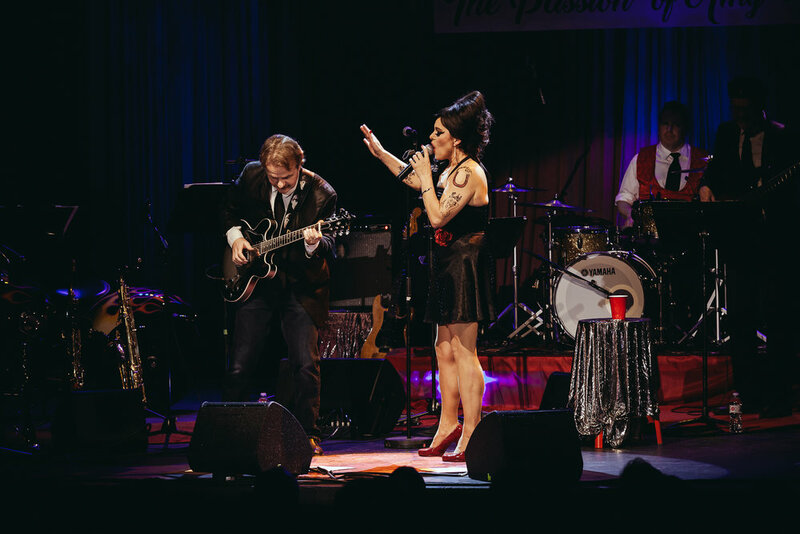 Worthy of any stage in Vegas, this show is an incredible musical celebration of the gifts of song and music that Amy Winehouse left this world. This video bite was recorded live at the Broadway Theatre in Saskatoon, Canada to a sold out crowd. This performance will be interpreted for the deaf and hard of hearing. “I was proud to be in the audience to watch your vision come to life and I’m sure you will take great pride in developing, promoting, and presenting a great and successful show. I can appreciate the time, effort, commitment, fun, and stress that it takes and you pulled it off with flying colours. The band sounded great, the stage looked great, and from the reaction of the audience everyone was having a great time. — Kevin Tobin - Artistic Director, Saskatchewan Jazz Festival Inc.
"So many people have been anxiously waiting for this event and to watch unfold with great success was amazing!!! My jaw was on the floor with the similarities to Amy. The stage design was on point! The band was top shelf! 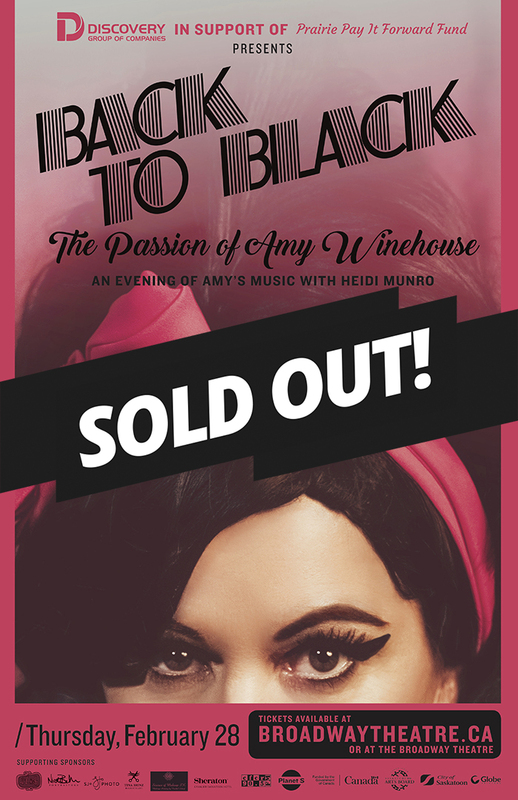 Heidi Munro embodied the essence of Amy Winehouse. The audience was dancing in the aisles and rocking out in their seats!! Congratulations to Heidi Munro and all who where involved with the show!! Keep your eyes and ears open, this show will definitely be a repeat and a must-not-miss event! 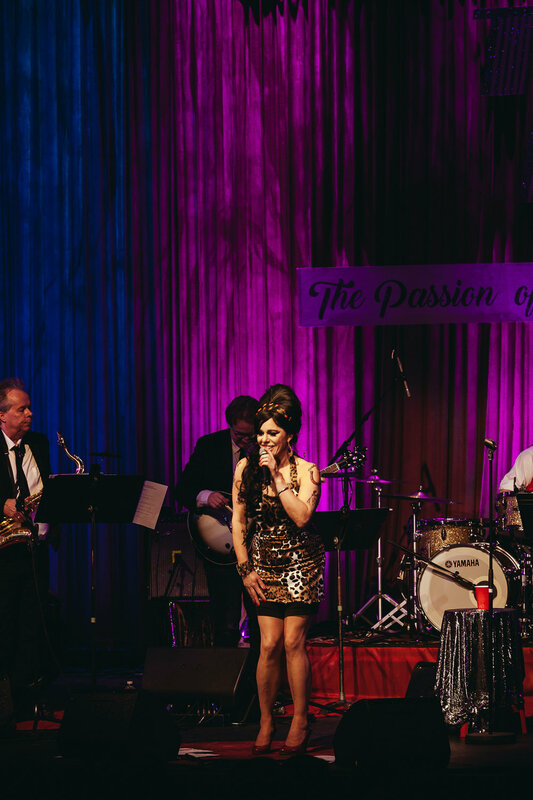 “The Passion of Amy Winehouse! Well done Heidi Munro and her amazing band. Exceptional evening at The Broadway Theatre remembering through music and story telling the talented, haunting and passionate Amy. 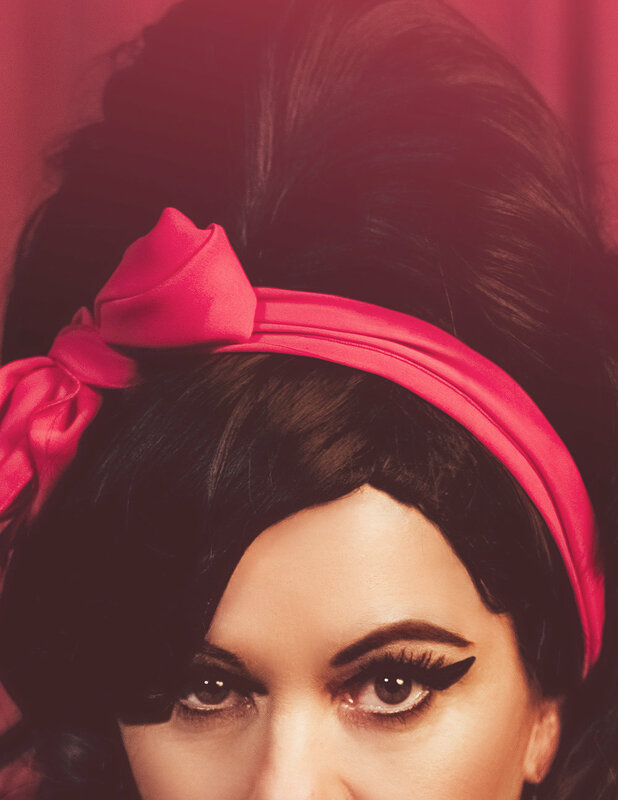 “The Passion of Amy Winehouse was incredible. It is fitting because the first thing I noticed when I first saw your perform was your enthusiasm and passion combined with your talent. I have been a groupie ever since. The musicians are all so incredible. Having fun together. And you are so gracious.